As a professional nutritional consultant for almost 10 years, clients often ask about protein powders as a meal substitute. Mostly I find that they are eating a brand that is loaded with sugar, artificial ingredients and other chemicals which are not fit for humans or even rats for that matter. These ingredients are more harmful to your health than they are good for many reasons. The first thing to consider is that any and all protein powders are not a substitute for real food. Real food should always be your first choice. Now when that is simply not possible due to a busy schedule or the need for more protein in your nutrition plan then protein powders are a good second choice with one caveat; they are sourced from organic foods and are vegan. Some protein bars could be a third choice and you must be extremely careful about them as well for the same reasons. More on protein bars later. Well, as a blood type O, I love to eat animal protein and I do encourage all people with the same blood type to eat animal protein. The problem with it is that it is simply too acidic for the body so to compensate for that, one meal a day is a vegan meal which helps to alkalize the body. A body that is more alkaline vs acidic is closer to health vs disease. That’s an entire different article that I’ll write later. Vegan Protein Powder helps to feed your body and alkalize it as well. Protein is necessary to help maintain or build your muscles. If you body is lacking in protein then it will cannibalize your muscles for fuel hence lowering your metabolism. Remember that muscles dictate your metabolism so the stronger your muscles are the more calories you will burn, even at rest. Many plant proteins contain the essential amino acids which make up protein. It is possible to obtain all nine essential amino acids necessary for muscle growth and optimal bodily function with a balanced vegan diet. Protein-rich supplements are the perfect accompaniment to that diet for any body from the, “I want to lose weight” person to the hard-training athlete. And plant based protein powders are much easier on the digestive tract than animal sources. Here are some vegan protein powders that pass all the tests, no chemicals, no soy, no wheat, no artificial ingredients, low carbohydrate, low cholesterol, and no dairy. Most importantly, all of these are excellent for the person who wants to lose weight as well as the athlete. First of all whey protein is an animal protein which is acidic and since it is dairy it is mucus forming which is not good for detoxification. It is a byproduct of cheese making and is the liquid part that is separated from the curd. In its raw form, other than protein, whey contains fat, cholesterol, lactose. Before it reaches our shaker bottles, the fat and lactose (milk sugar) is whey have to be filtered out. 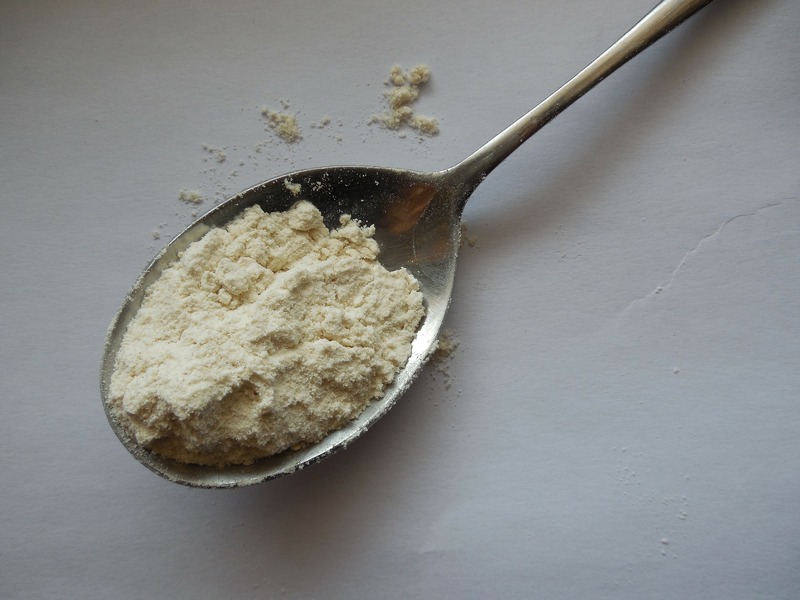 Raw whey is rich in protein substances, called native micro fractions. These include alpha lactalbumin, beta-lactoglobulin, glycomacropeptide, immunoglobulins, serum albumin, lactoferrin, lactoperoxidase. When due to the type of processing used, some of these native micro fractions are destroyed or lost, we say that the whey protein is denatured. Why are these native micro peptides important? Some of these proteins are sources of essential amino acids, as well as large amounts of branched-chain amino acids – BCAA’s (BCAA’s are the only amino acids that don’t undergo conversion in the liver, and are immediately available to your muscle cells). Others have different functions in the body, such as immune system support and modulation, anti-oxidative and cell protecting properties, antibacterial, anti microbial functions, and more. Let’s look more closely at a few of them. Alpha lactalbumin, also known as alpha-protein for example is the most abundant protein in mother’s milk. Serum albumin is a precursor to glutathione – a major antioxidant and detoxifying agent. Immunoglobulins, also called antibodies, have the function of finding and destroying viruses and bacteria, which makes them primary immune system supporting factors. Now you can clearly see why it’s important for whey protein to retain its protein micro fractions during the manufacturing process. What are the different types of whey proteins, available on the market? Further, isolates can be sub-divided into ion-exchange isolates and low temperature micro filtered (ultra filtered) isolates. Whey concentrate is the lowest grade whey protein. Its actual protein content can range between 35 and 85%. The most common whey concentrate, used in sports nutrition formulations is WPC 80%. Whey concentrate contains high lactose and fat levels. It also has high cholesterol content. Most commonly WPC is derived using high temperatures, which denature it (destroy its native micro fractions). The high temperatures, used in the process, also oxidize large part of the present cholesterol. Oxidized cholesterol is the type of cholesterol that can cause hardening of arteries and cardio-vascular problems. Many of the sports nutrition protein blends are mainly comprised of cheap, denatured whey protein concentrate of low biological value. Hydrolyzed whey is a protein, which has been partially pre-digested. The longer protein structures in it are broken down to shorter ones. The main property of this type of whey is its low allergenicity. There are two things you should know about hydrolyzed whey. First, when whey protein is treated enzymatically, its native proteins are partially or fully lost. In other words hydrolyzed whey can be denatured to a large degree, depending on the extent of pre-digestion. Second, during pre-digestion, its long chain protein structures are broken down and are brought to forms that are very close to the actual amino acids the body can use for repair and tissue building. There are a couple of amino acids that are naturally present in very large quantities in whey. These are glutamic acid (also known s MSG) and aspartic acid. Glutamic acid, or glutamate is a neurotransmitter. It is know as excitotoxin and it serves to enhance one of the five main tastes – umami (savory). Glutamate in large quantities overstimulates certain parts of the brain, which can lead to brain damage. By the way, I’m sure you’ve heard of MSG – a common taste enhancer and food additive. Well MSG stands for mono-sodium glutamate, a salt of the amino acid glutamate. Now you know when you see MSG or glutamate what the possible consequences could be. Well, it’s one thing when the body itself has to break down the protein into amino acids – it metabolizes as much of the protein it needs. But, it’s a different thing when you ingest pre-digested protein and this way you force the body to uptake all of the proteins in a form already available for use. This protein has a high protein content – 90% and more. It has very low (or none at all) amounts of lactose, fat and cholesterol. It sounds good on first reading, but it actually isn’t. Let’s see why. The process of deriving ion-exchange whey includes separating the protein from the rest of the substances in raw whey using electrical charge. This is done using hydrochloric acid and sodium hydroxide. The process involves great changes in the pH levels, which destroy most of the important native to whey protein fractions like alpha lactalbumin, glycomacropeptides, immunoglobulins, and lactoferrin. Beta-lactoglobulin globulin, which is know to cause allergies, can sustain the pH changes, and can become the most predominant native protein structure in ion-exchange whey. Microfiltered whey isolate is the most undenatured form of whey. Its native protein structures are kept intact to a large degree. It has 90% and higher protein content. It is virtually lactose, fat and cholesterol free. During the process of microfiltration the undesired particles in whey (fat, lactose) are separated from the protein using ceramic microfilters in a low temperature environment. After filtration the whey protein is spray-dried again using low temperatures. Currently the only patented method for low temperature microfiltration is the Cross-Flow Microfiltration process, developed by Glanbia. When you purchase organic products, you are assured not to get anything that is artificial or with pesticides that harm our health. One of my favorite brands of Whey Protein is the store brand from My Organic Market. Also very affectionately know as Mom’s.